In the past 50 years, Asian Americans have helped change the face of America and are now the fastest growing group in the United States. 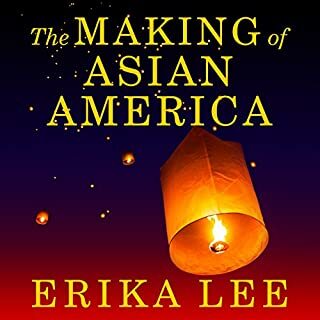 The Making of Asian America tells the little-known history of Asian Americans and their role in American life, from the arrival of the first Asians in the Americas to the present-day. With sophistication and exhaustive research author Erika Lee introduces the reader to the shrouded histories of an entire swath of Americans. A vital read for descendants. A heartening song to fellow immigrants of different lands. A critical necessity for those whose image of prototypical American skews towards Northern Europe. The reader will be introduced to cultures with long and cruel histories in North America, in geographic areas surprising not for being illogical or strange, but for how exploited and intentionally buried they were by the American government. Shock will register against the stunning turns and often violent manipulations against entire ethnic groups, first invited and then hunted for expulsion, all to the benefit for petty changes to socio-economic winds. That pettiness betrays a oppressively heavy truth further into the text when, compared to the high-minded rhetoric of human rights and freedom drubbing from pulpits and podiums throughout American history books, the epidemic nature of abuse and inequality becomes clear. There is nowhere for a thinking person shelter from the centuries-long brutality of American politics and government geared towards power and ambition alone. To read this work, performed by Emily Woo Zeller with knowing temperance, is to be confronted by the painful reality that, yes, Americans are sold a fable of their righteousness, but beyond that tired, common trope, the truth is so much worse. And through it all, immigrants and their children still struggle to rise above. Our relationship with the ocean is undergoing a profound transformation. Just three decades ago nearly everything we ate from the sea was wild. Today rampant overfishing and an unprecedented biotech revolution have brought us to a point where wild and farmed fish occupy equal parts of a complex and confusing marketplace. 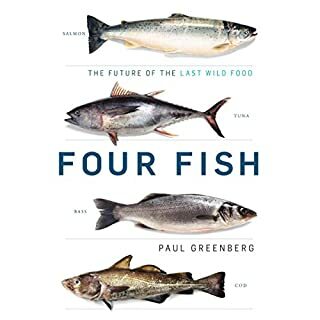 4 Reasons to Read "Four Fish"
Often wry and tinged with nostalgia, the Paul Greenberg's introduction to the familiar and profoundly misunderstood world of seafood is vital for a broader understanding of human consumption. The reader is guided to the far-flung corners of the world that stock our local supermarkets to unravel the historical, social, political, and economic yarn around these four staples. The concept of the very word 'seafood' is confronted as overly simplistic and undermining. The masquerade of species introduced to quietly replace the withering fish stocks known for centuries reveals the ease with which the consumers ignorance can be exploited. The economic exploitation of the mysterious sea, with its complex biodiversity and structure, betrays the hubris with which mankind has plundered the primordial home of life itself. And the hypocrisy in our own lives is on display, self-aware and bereft of pretense. One leaves this work knowledgable, frustrated, and uncertain of the future. Any hope is left in hands of those who can imagine a better way and a respect for the sea. The text speaks for itself. The performance is measured, nuanced, and converses affectations for the critical moments. Absolutely cinematic and turns the prose into a narrative indulgence. Brilliant work. 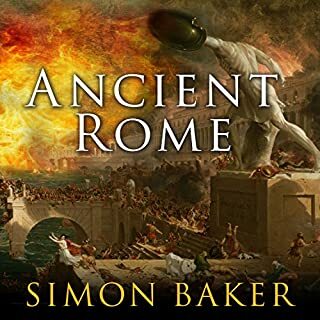 Well performed and smartly organized, Ancient Rome by Simon Baker provides a clear and purposeful survey of ancient Roman history. This book provides a clear outline to the enthusiastic beginner for further reading. For the intermediate, well-read of the common names and events, it will fill gaps in knowledge with its well-researched and tastefully constrained chapters. In the closing chapters, following Titus into Constantine, new and typically uncovered elements of the late empire provide a gateway to reading on Mediterranean societies in the third and fourth centuries. For the expert, its necessary omissions as a survey book are fair, leaning on the satisfying performance and occasionally indulgent hint of drama and suggestion whereas stricter historical accounts are sparse and often dry. The Roman Republic and Empire, as dauntingly complex as it appears, can be approached amenably through this book. A lovely opportunity to witness the power of historical drama with a broad brush that can lead to lifelong addiction for the ancient world. This work is a well-paced and fair handling of two major figures often mischaracterized in modern accounts for petty political aims. It is a humane and fair attempt to get "at the truth of the matter" regarding their origins, shared existence, and their navigation of a time when the present was cataclysmic and the future uncertain. 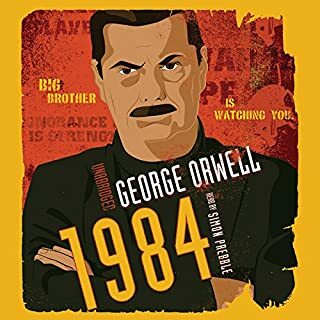 The author weaves the central anti-authoritarianism thread shared by the two men into a rich lesson on the importance of the vital political center. However, this is not wielded as a blunt instrument supporting an agenda denouncing the rise of extremism in our world of 2019. How both men arrived at their conclusions as to the nature of liberty and the methods they employed to advance that privilege gives the reader authentic view outside the myopic political bubbles that society so often entrenches itself. It conveys the necessary context of their world and experience onto the reader. I found this work to be an entertaining, often delightfully bold, and occasionally adversarial in the assumed defense of the two subjects who appear regularly in our zeitgeist. By no means are the sharper edges of their lives and strange idiosyncrasies spared. Both men are described, scarred and carrying their victories as a burden, fairly and without genuflection. 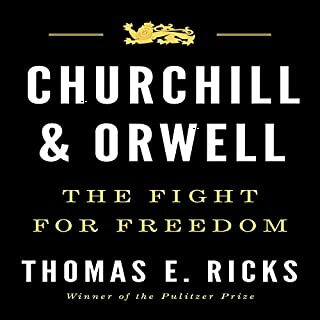 Ultimately, it provides a thoroughly rich personal introduction of the two men that would inspire readers to confidently navigate Churchill and Orwell's literary achievements with greater perspective.